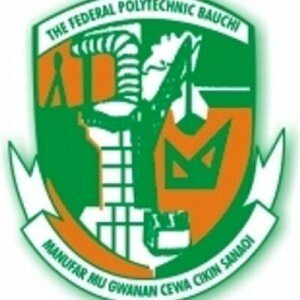 Following the transmission of letter of request for affiliation with some reputable Nigerian universities to run degree programmes, the Federal Polytechnic Bauchi has received a Resource Verification team from the Ahmadu Bello University, Zaria. The 8-man team which arrived in the Polytechnic for a two-day verification of facilities, infrastructure, staff development, library development among others were received by the Rector, Arc. Sanusi Waziri Gumau in his office. Speaking during the exit interview, leader of the assessment team Prof. Sa’ad A. Ahmed express delight over what he described as the Polytechnic’s huge investment in staff and library development, infrastructural and sports facilities as well as ICT and urged the management of the institution to maintain the spirit. Prof. Sa’ad Ahmed who is also the Deputy Director Academic Planning of ABU Zaria, said based on their assessment, the Polytechnic has all the necessary requirements for kick-starting BSc programmes even as he pointed some places that need to be put to shape. Responding, Rector of the Polytechnic Arc. Sanusi Waziri Gumau thanked ABU Zaria for finding the Polytechnic worthy of its affiliation and informed the resource verification team that the management was ever ready fulfil its part of the bargain to ensure the success of process. Arc. Gumau also said in anticipation of approval to run various degree programmes in the Polytechnic, the institution is in touch with investors interested in building hostels that can accommodate substantial number of students to be admitted.